Taking out a mortgage is a huge milestone, and it’s one to be celebrated, but it also comes with a lot of responsibility that can put some people into financial hardship. With inflated property prices and record low interest rates, many homebuyers are forced to take out loans that they can’t afford to repay long term. While we may be in a low-rate environment at the moment, it’s likely that interest rates will soon start to rise (possibly as early as next year). In fact, 81% of experts and economists from the finder.com.au RBA panel believe that rates will rise in 2018, so it seems low rates aren’t going to hang around forever. Rising rates coupled with ballooning property prices, particularly in Australia’s capital cities, mean that first home buyers are often forced to borrow beyond their means. New finder.com.au research found that 57% of mortgage holders can’t afford to pay an extra $100 on top of their current monthly repayments. In the great scheme of things, $100 per month or $25 extra a week isn’t that much. The research found that just 18% of borrowers could handle a monthly increase of $250, while only 14% could manage a monthly increase of $1,000 or more in addition to their existing repayments. Women are more at risk with 63% saying they’d struggle to pay an extra $100 per month compared to 50% of men. To find the right loan and interest rate, and to avoid over borrowing, here are some things to consider. 1. Find out what the average rates look like. Currently, the average standard variable rate is 4.84%, while the average 3-year fixed rate is 4.37%. This gives you an idea of what the market has to offer. When selecting a loan, the interest rate is one of the most important factors to consider, as this will determine your ongoing interest charges. Opting for a competitive and low interest rate could save you thousands of dollars over the life of your loan. While the interest rate is important, you’ll also need to think about product fees and features such as whether an offset account is included or whether you can make extra repayments without penalty. 2. Check the comparison rate. The comparison rate reflects the true cost of the loan (including product fees and other loan costs) so bear this in mind when weighing up your choices. All lenders are required by law to show the comparison rate next to their advertised rate. 3. Forecast your borrowing power. Estimating your borrowing power will help you understand how much you can afford to borrow for your mortgage. This is an important step to ensure that you don’t overextend yourself. You can use a borrowing power calculator to get a feel for how much you can borrow. Just make sure you have the details of your income, debts and expenses handy. 4. Aim to have a large deposit (and save for longer if you need to). Saving up for a sizeable deposit is another way to ensure that you don’t borrow outside your means. In Australia, most full documentation loans require you to come up with a minimum of a 20% downpayment to avoid paying lender’s mortgage insurance (LMI). Even if it means delaying your property purchase for a few more years, saving as much as you can for a deposit is crucial to ensuring that you don’t borrow more than you can afford to repay. 5. Factor in a 2-3% buffer on top of your current repayments. With interest rates on the rise, it’s smart to estimate what your regular repayments will be and then add a 2-3% buffer on top. This will put you in a good position to manage more expensive repayments that come with higher rates. Overextending yourself is an easy mistake to make when you first embark on your property-buying journey. By thinking carefully about your mortgage costs and the amount you can comfortably afford to repay both now and into the future, you can alleviate any financial stress. 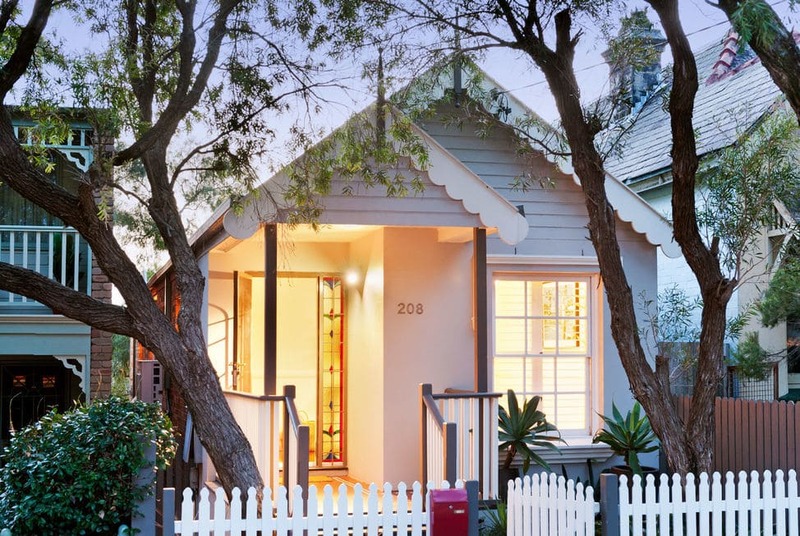 Here are some more tips for buying your first home and refinancing your home loan.